The art and science of ordering the use of land and siting of buildings and communication routes so as to secure the maximum practicable degree of economy, convenience, and attractiveness and to ensure that the environment is protected at locations suitable for densely populated human settlements form the core of the professional discipline of Town Planning. Urban Designers and Architects are expected to induce life to such locations through creating liveable spaces, places and shelter for humans to live, work and play. And the Structural Engineers ensure that the structures, which house or facilitate human activities, remain stable during the estimated lifespan of the structures. Sometimes the very humans who demanded those structures may pull them down for want of modernity or for want of more profits. Whatever the circumstances leading to building or rebuilding, Town Planning has to play the initial lead role in finding suitable locations and guiding the development thereon for accommodating the change. This change forms the basis for studying dynamics in the densely populated human settlements, which are designated as urban. It is an accepted norm the world over, that a healthy rate of urbanization is a good indicator for measuring growth and development in the national context. Hence urbanization and urban dynamics can be considered as complementing each other. In general, urban dynamics involves the study of the changing movements of people, objects and information in a city. With advancements in technology and new discoveries in science, new trends emerge causing changes in urban lifestyles. Whether these trends remain static or dynamic depends on the aspirations of the urban dwellers and the capacity of urban areas to respond to change. In the background of massive investments being mobilized for development of road, water and air transport, power and water supply, solid waste management, flood control and urban regeneration, changes of hitherto unprecedented scale could be expected in some of the urban areas in the country. Moreover, the government declaring its intention to enter into FTAs with emerging Asian Economic Giants is sending down signals to state sector institutions responsible for spatial planning and infrastructure development and private sector institutions with capacity for investing capital in large scales, to prepare for partnerships for developing Tourism, Health, Industrial, IT, Marine, Education and many other Services sectors. The expanding variety of services will be more complex. Therefore, besides the pace of change in urban physical environments, host of other movements are expected to form more dynamic networks. Whether, it could truly happen and whether the planning instruments and planning tools currently available in the country are adequate for sustaining the growth which is expected to result from new dynamics, need to be examined for maintaining vibrancy and efficiency of urban systems. Measuring vibrancy and efficiency of new systems with current indicators will not yield good monitoring results and therefore and more new indicators would have to be formulated. As the complexity of urban systems increases formulating suitable indicators to measure the dynamics and collecting data for the same required extensive collaborative research involving researchers in the fields of Town Planning, Sociology, Marketing, Economics, Health, and Transport etc. Therefore, the intent of this paper is to highlight the current level of preparedness and adequacy of available planning instruments and tools for creating dynamic urban environments in the country. 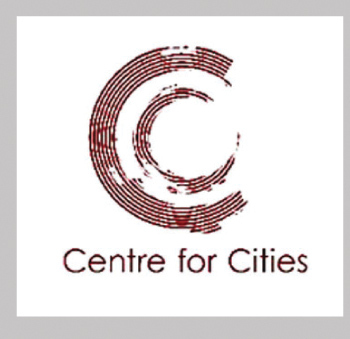 A dialogue to promote the study of emerging complexity of urban dynamics in Sri Lanka through collaborative research has to begin. a) Is Sri Lanka an urbanized country? b) Is urban Sri Lanka dynamic? Some countries used a combination of population and geographic characteristics with administrative criteria. Some other countries define urban as areas or agglomerations, which have a minimum population ranging from 1500-50,000, a minimum density of 400-1,000 persons per square mile and at least 75% of the adult male population being employed in non-agriculture activities (UN, 2005). According to Deuskar (2016) each definition may be well-suited to its own national context, but the differences present a problem when trying to compare urbanization across countries. Kingsley Davis (1965) in “Urbanization of Human Populations” has explained urbanization as process of switch from spread out pattern of human settlements to one of concentration in urban centres. According to him it is a finite process--- a cycle through which a nation passes as they evolve from agrarian to industrial society and mentions that there are three stages in the process of urbanization. c) The terminal stage where urban population exceeds 70% or more and at this stage level of urbanization remains more or less same or constant. Alfeld (1969) states that urban dynamics incorporate limited land availability as an explicit resource constraint and only demolition of existing structures can clear the way for further building. In equilibrium, construction balances demolition. He further explains that if experience is any guide then two rules ought to guide any future application of urban dynamics: 1) Emphasize answers not models; 2) Emphasize interface not data. In addition to applying these rules he states that urban decision makers must grasp four interconnected principles that control urban behaviour: a) resource constraints, b) urban aging, c) relative attractiveness and d) growth vs. equilibrium. Forrester (1969) developed a computer simulation model for visualizing how the central city first grows, then stagnates and decays. Sanders & Sanders (2004), in a review of Forrester’s model, states that “an urban area is traditionally defined as a system interacting industries, people and housing and as the area develops and the land gets filled with buildings and structures, the process of aging causes stagnation. Unless there is continuing renewal what is developed on land converts the area from one marked as innovation and growth to one characterized by aging housing and declining industry”. A module on urban dynamics offered in an academic programme by IHS, The Netherlands states that urban dynamics are expressed in terms of urbanization, urban competitiveness, urban networks, informality, urban environmental sustainability, climate change, locational economics and land markets (IHS, 2013). Another opinion on urban dynamics dwells on the idea that inclusiveness of cities makes them dynamic because it is the people who can make it dynamic. Misra (2016) analysing the outcomes of a discussion on “How do we build inclusive cities?” lists three pre-requisites for the planning process to make cities in which everyone-regardless of gender, sexual orientation, race, age or ability-can live and thrive. Step 3: Invest in people and be “nimble”- Investing in the future of a city necessitates investing in its residents. Until the 16th Century Sri Lanka’s history has no record of network of cities. Each kingdom had its seat of governance established in the city bearing the name of the kingdom and other urban centres, if there were any, may have been too small for reckoning. During Portuguese and Dutch Colonial Periods, there were networks of Fortified Towns and records of Dutch Period show that, Forts in Colombo, Galle and Jaffna having battalions with over 1,200 soldiers in each. Studies on living Fortified Town in Galle show that city had been planned to accommodate trading and residential activities in addition to military activity. Due to fears of attacks from the sea and land, those towns were planned as closed systems protected by high fortifications and moats. (Kiringoda, 1992) First mention of drawbridges can be found in Dutch Records and at Star Fort Matara the drawbridge has been reconstructed with expertise from The Netherlands. The whole country was brought under British Colonial Rule in 1815. Introduction of commodity agriculture in a massive scale bringing the wet and intermediate zones in the country under a plantation land use, required roads, railroads and harbours to transport the export produce from the hinterland. The British also introduced statutes for governance of urban local councils: Municipal Ordinance (1947), Urban Council Ordinance (1939 and Town Council Ordinance (1946). These statutes empowered the local administrators to provide and maintain thoroughfares and public amenities. As regards travel and transport between cities across rivers, there is evidence in historical records, that pontoon bridges (bridge of boats) had been constructed in Galle (across Mahamodera Lake), and Kelaniya (across Kelani River). The British also introduced statutes for planning and guiding developments in those urban areas: Housing & Town Improvement Ordinance (1915) and Town & Country Planning Ordinance (1946). These laws had hardly any power to promote urban development beyond regulatory planning and development control but they are still in force in spite of amendments or enactment of new laws to promote development in urban areas. In 1977, the country’s economy was liberalized to bring in investments from capital markets to develop industrial, tourism, power generation and road, sea and air transport. Urban development was given a high priority and to facilitate implementation of development strategies, new policy instruments to establish institutions such as UDA (1978), Greater Colombo Economic Commission (1978), Mahaweli Authority (1979) and National Housing Development Authority (1979) were introduced. 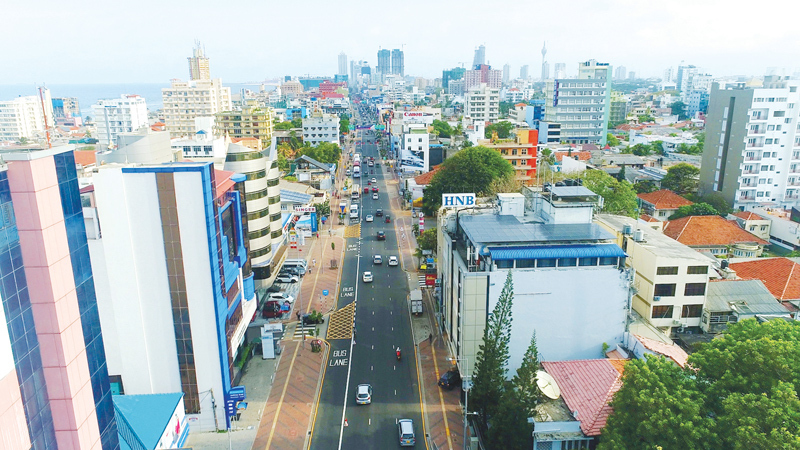 Since 1978, urban development in Sri Lanka has been promoted and guided by the development plans, prepared for local areas declared as urban under the powers of the UDA Law. (The writer, L. T. Kiringoda is a Chartered Architect, Town Planner and a Chartered Environmentalist. He headed the Directorate of Development Planning of the Urban Development Authority of Sri Lanka, wherein he served for nearly 3-decades).